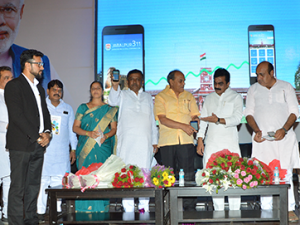 The mobile app Indore-311 has proved to be a big hit with 100 complaints within 48 hours of its launch which were soon resolved by the Indore Municipal Corporation. According to the news featured in the newspaper “mumkin hai” of 23rd February 2018, the number of users registered with this app has reached to 1.25 lakhs and is continuously increasing. This application has created a system flexible for both residents and the corporation department to make the city free from dirt and diseases. More than 500 complaints are logged through this app every single day, of which 90% of the complaints are resolved within 3 hours from the time of a complaint filed. 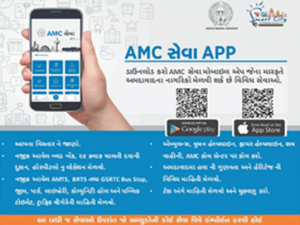 IMC officers from 19 zones have been connected through this app and benefits residents from 85 wards. 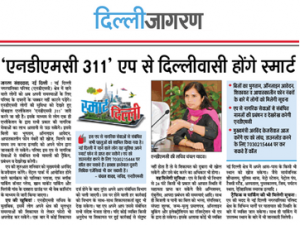 Implementing Indore-311 is a small step for a big change like making Indore a garbage-free city. 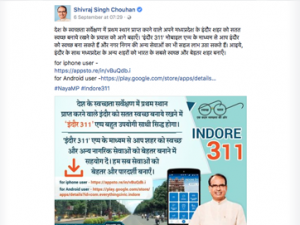 We are pleased to share that our mobile app Indore-311 got a mention on Twitter by none other than Honourable Chief Minister of Madhya Pradesh, Shri Shivraj Singh Chauhan, on 6th September 2017. 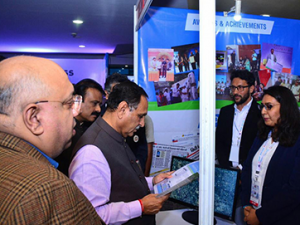 He jotted down the word-of-appreciation for Indore-311 app saying that this app is a medium to initiate and take steps towards the major movement of “Swachh Bharat Abhiyan”. He requested the citizens of Indore to make the most of this application and use it for a better tomorrow, for a better nation. We couldn’t thank enough to Shri Shivraj Singh Chauhan for appreciating our efforts for this move to fulfill something for the greater good for mankind. What better than being mentioned by some of the Influencers and Official accounts on Twitter and al-together get appreciated for our efforts! 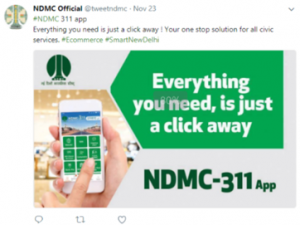 Recently on 23rd November 2017, our mobile-based NDMC-311 app which is also a part of our SmartCity-311 was praised in one of the most unique and remarkable ways by none other than the New Delhi Municipal Council (NDMC). Our mobile app NDMC-311 is available for the citizens of Delhi to get access of all the civic services related to online bill payments, reporting any complaints against issues like water logging, malfunctioning of street lights and many more. We offer our thanks to NDMC for this gentle appreciation, it means a lot to us and we will make sure to continue making efforts for a better tomorrow. 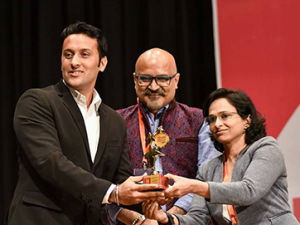 We are feeling very excited to share that the SmartCity-311 application won the first prize in the final category of Social Entrepreneur for MSME. We got the price money of 1 Lakh at Vibrant Gujarat 2017. 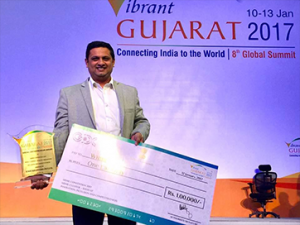 We are thankful to the Government of Gujarat for recognizing us and gave us the first prize. Indore is the second city in the state of Madhya Pradesh to launched the Indore-311 that will enable citizens to participate in making the city clean and green. 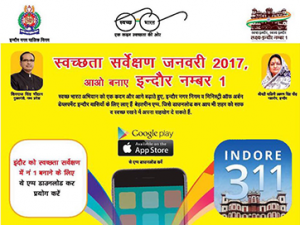 On 2nd October 2016 in the presence of Municipal Commissioner Manish Singh and Indore Mayor Malini Guard, Indore Municipal Corporation launched the application Indore-311, allowing citizens of the city to a complaint regarding the garbage of the city.